Do you see it? Posted to Reddit by irie_feeling, the opening credits of The Greatest Showman feature what very strongly resembles Wolverine’s claws. The opening credits of the musical feature several ornate designs and hidden in of these are Wolverine’s iconic adamantium claws crossed in front of the chest. It’s a pose Hugh Jackman has made on several posters for Wolverine movies, so fans should be more than familiar with it. Personally, the detail that sells me on this is the shading on the forearms. Those are straight-up forearms, and while no one from The Greatest Showroom has confirmed this easter egg, it looks to be a pretty clear nod to Jackman’s superhero character. No one would blame The Greatest Showman from throwing in a sneaky Wolverine easter egg. After all, Hugh Jackman did play the character for 17 years, and it’ll likely be remembered as his most well-known role. 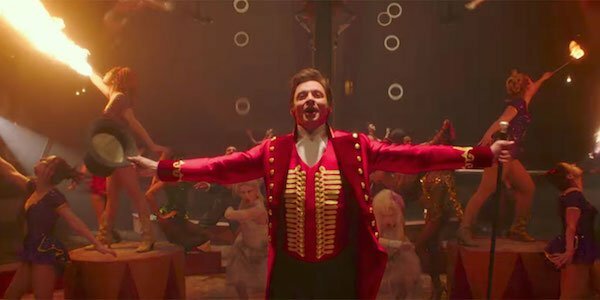 Even though The Greatest Showman, which follows P.T Barnum forming his circus of misfits, has nothing to do with the X-Men, it’s a very cool nod to Jackman’s biggest character. His days as Wolverine are over, but Hugh Jackman still has plenty of gas left in the tank to tackle non-superhero projects. The actor will next be appearing in The Front Runner, a biographical dark comedy about a senator running for President and then falling from grace after his scandalous love affairs are leaked. The film is set to release on November 21, 2018. The Front Runner isn’t the only movie coming out this year, and you can see everything hitting theaters in our handy movie release schedule.